Performances by clarinetist Andy Hudson have been hailed as “a treat for the listener” and praised for “an uncommon singularity of purpose, technical virtuosity, youthful vigor and a mature sensitivity.” An active performer both nationally and internationally, he has received performance invitations from the World Congress of the International Alliance for Women in Music, the New Music Gathering, the College Music Society Conference in Vancouver, and gatherings of the International Clarinet Association’s ‘ClarinetFest’ in Los Angeles, Orlando, and Ostend, Belgium. In 2017, Andy performed across Switzerland and Germany as a member of the Lucerne Festival Academy Orchestra under the baton of Matthias Pintscher, and he has won top honors at the MTNA National Senior Woodwind Competition, the Sewanee Summer Music Festival Concerto Competition, the MTNA Southern Chamber Music Competition, and both the Columbus State University and Northwestern University Concerto Competitions. Andy is a frequent soloist, recently performing the concerti of Weber, Gandolfi, Daugherty, and Mozart among others. Several of Andy’s performances have been broadcast on WFMT Chicago, including his 2011 performance of Scott McAllister’s “Black Dog” as soloist with the Northwestern University Symphonic Wind Ensemble. A noted interpreter of contemporary music, Andy has premiered and commissioned dozens of works to date and has performed with the Chicago Symphony Orchestra on their MusicNOW series, at the Bang on a Can Summer Marathon, and at the Art Institute of Chicago, the Eastman School of Music, and Constellation. He recently gave the Midwest Premiere of Michael Hersch’s chamber opera “On The Threshold of Winter” with Ensemble Dal Niente and soprano Ah Young Hong, of which the Chicago Tribune said, “The eight Dal Niente musicians threw themselves into this challenging music with a razor-sharp bite and precision that was jaw-dropping.” Andy made his Carnegie Hall debut in 2017 as a member of the trio F-PLUS, and he is clarinetist with dynamic mixed-chamber sextet Latitude 49. He has also appeared with a.pe.ri.od.ic and the Chicago Composer’s Orchestra, and performs regularly with The Zafa Collective, earspace, and 10th & Broadway. 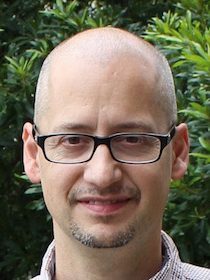 In 2018, Andy joins the faculty of the University of North Carolina at Greensboro as Lecturer of Clarinet. Additionally, each summer he joins the Artist-Faculty of the Tennessee Valley Music Festival in Huntsville, AL, and he previously held teaching positions at Northwestern University and Lake Forest College. Andy earned his Doctor of Musical Arts in Clarinet Performance with a Cognate Certification in Music Theory from Northwestern University, where he also earned his Master of Music degree. He earned his Bachelor of Music degree from Columbus State University’s Schwob School of Music. His primary teachers have included Steve Cohen, J. Lawrie Bloom, and Lisa Oberlander. When he’s not practicing, Andy enjoys cycling, running, reading, playing guitar, eating local food, watching baseball, and acquiring obscure instruments. 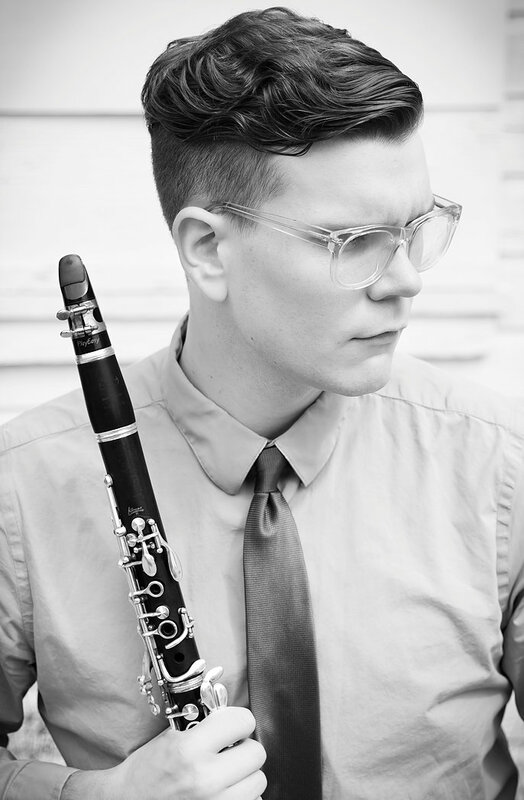 Anthony Taylor, clarinet, has been on the faculty of the University of North Carolina College of Visual and Performing Arts and Principal Clarinet of the Winston-Salem Symphony since 2007. He has been an Artist/Teacher for the Eastern Music Festival since 2013 and served on the faculty of the Hot Springs Music Festival (Arkansas) from 2008–2012. He has formerly held positions with the Spokane Symphony, the Boise Philharmonic, Washington State University, Eastern Washington University, and Whitman College. Taylor’s clarinet playing can be heard on recordings on the Navona, Centaur, Naxos American Classics and Gothic recording labels, and the most recent releases are two Centaur records projects with New Music Raleigh. The most recent is on Exhaling Space, a Navona release of UNCG composer Alejandro Rutty’s. Other recent recordings include the world premiere recording of Brett William Dietz’s opera introspective Headcase, and the debut recording of composer DJ Sparr, 21207. He is currently finishing up a new recording project of electroacoustic works featuring works of several living composers, including Thea Musgrave, Alejandro Rutty, D. Edward Davis, and Aleksander Sternfeld-Dunn. He can also be found on youtube; his video promoting his March 2011 basset clarinet performances of the Mozart concerto with the Winston-Salem symphony now has more than 120,000 views. In 2014, Taylor was among the first performers of Donald Crockett’s Dance Concerto. 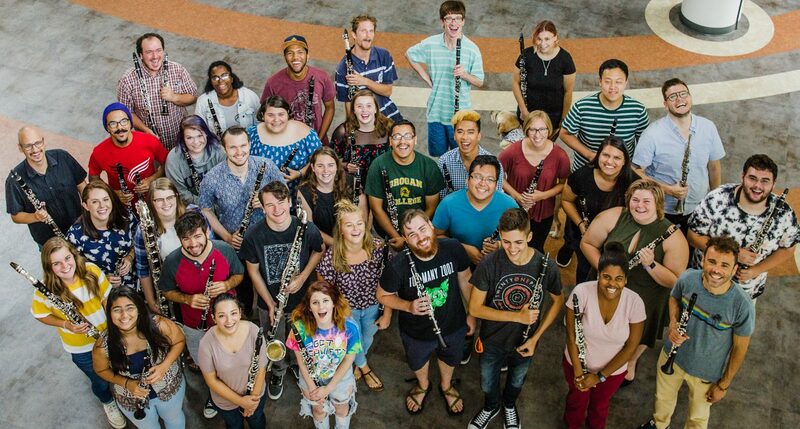 He has appeared at the International Clarinet Association ClarinetFest®, with a notable performance of John Adams’s clarinet concerto Gnarly Buttons in 2010 and in 2011, the world premiere of UNCG composer Alejandro Rutty’s work Guitars, for two clarinets and Ableton Live-based electronics. In his approach to pedagogy, Taylor incorporates his understanding of human movement, performance, and the Alexander Technique, in which he has been ATI-certified since 2016. He hopes to soon share recent research, at conferences and publications, linking Alexander Technique to the Focus of Attention research pioneered by University of Nevada Las Vegas kinesiology professor Gabriele Wulf. Taylor holds degrees from the University of Cincinnati College-Conservatory of Music, the Florida State University and Washington State University. His former teachers include Steve Cohen, Ron Aufmann, Richard Hawkins, Frank Kowalsky, Jim Schoepflin, and Joseph Brooks.